As we walked across the raised battlements between the Square Tower and the Round Tower we had good views across to the Spinnaker Tower. They no doubt had good views across to us aswell. Just to the south of the Round Tower are the old battlements to the harbour. The guns are long gone, but the metal rails on which they swung round are still very much there. 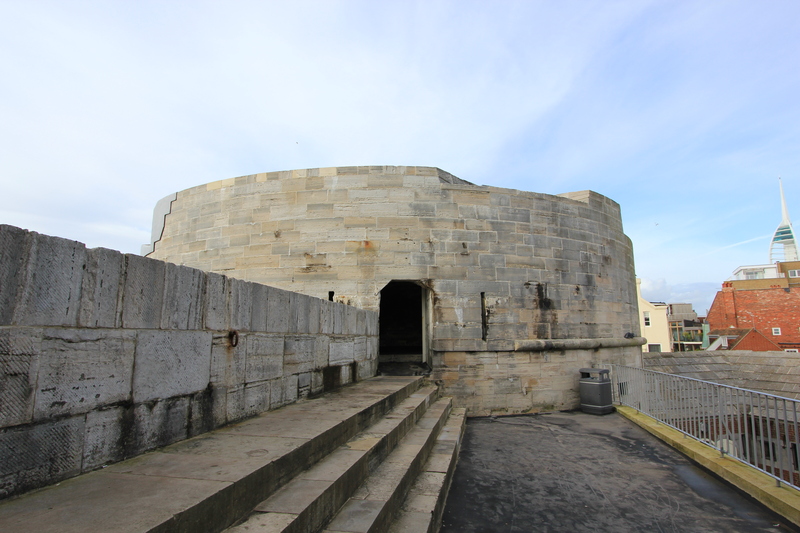 The Round Tower itself is one of Portsmouth’s oldest buildings. 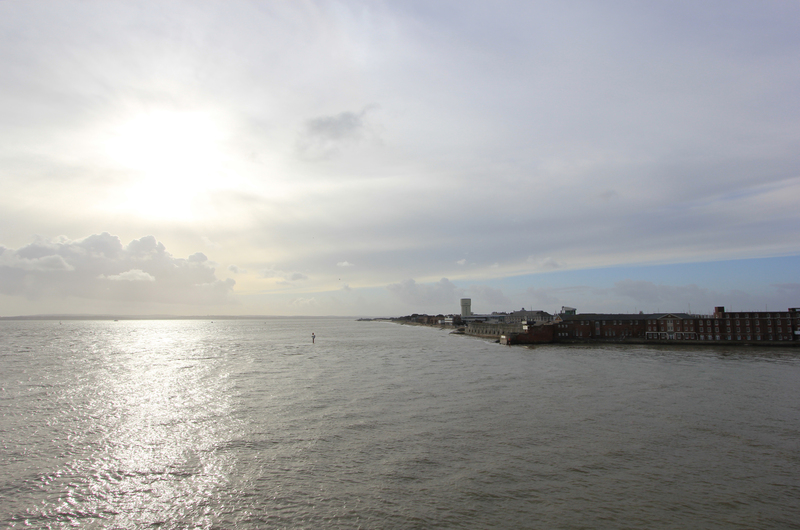 After Portsmouth had been attacked and burnt several times during the Hundred Years War in the 14th Century, it was decided that the harbour entrance needed to be better defended. Work on the Round Tower was started in 1428 and the structure was completed a few years later. See that entrance? 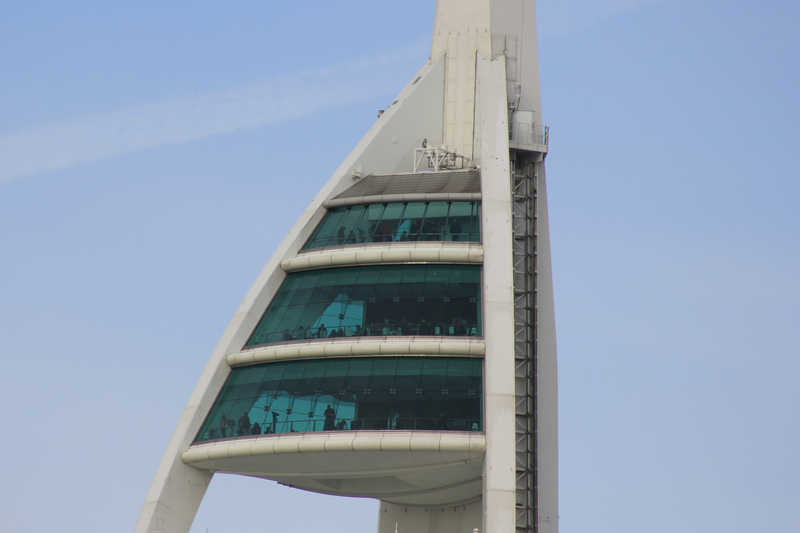 Today the top of the tower is open to the public. 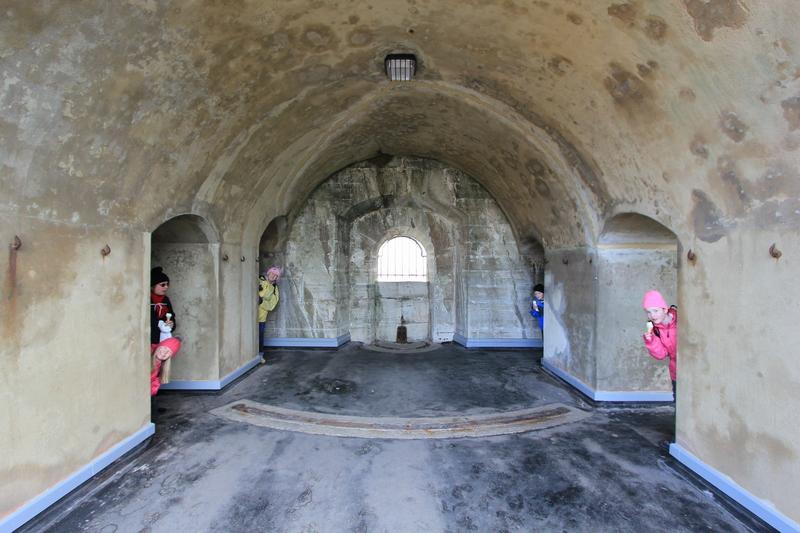 Through that entrance a staircase leads up to the tower’s top where commanding views are offered over the harbour entrance. This entry was posted in Hampshire, Islands and tagged coast, Hampshire, Old Portsmouth, Portsmouth, Spinnaker Tower, travel. Bookmark the permalink. Yes it’s great that the Round Tower and surrounding walls are freely accessible. I love the family shot. The splashes of color are such fun.